This home has so much to offer it will wow you as soon as you walk through the door. 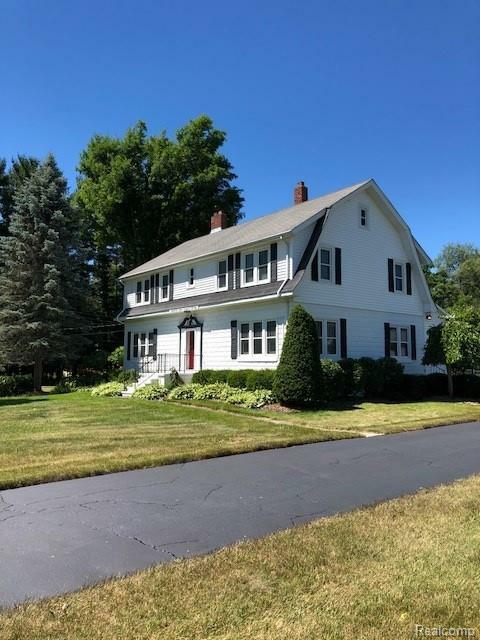 Beautiful 1900 Farmhouse with all the charm and character, freshly refinished hardwood floors, 52 newer Wallside windows for energy efficiency, huge rooms w/tons of space galore. Four bed possibly 5th that has been converted into a home office w/a phone booth. Natural wood fireplace in the living room for those chilly nights or entertain in the family room with a full wet bar and pool table in the rec room. Tons of options and potential for the right homeowners that appreciate the quality and charm this beautiful home has to offer. The garage and 30x60 pole barn are every man's dream, endless possiblities w/this four post elevator/lift for storing cars/bikes/boats all on the second floor, w/ all the floor space to work below. Pole barn has spray foam insulation and natural gas with an office. Attached to back of the barn is a 16x12 lawn equipment shed no shortage in storage here. Too much to list!